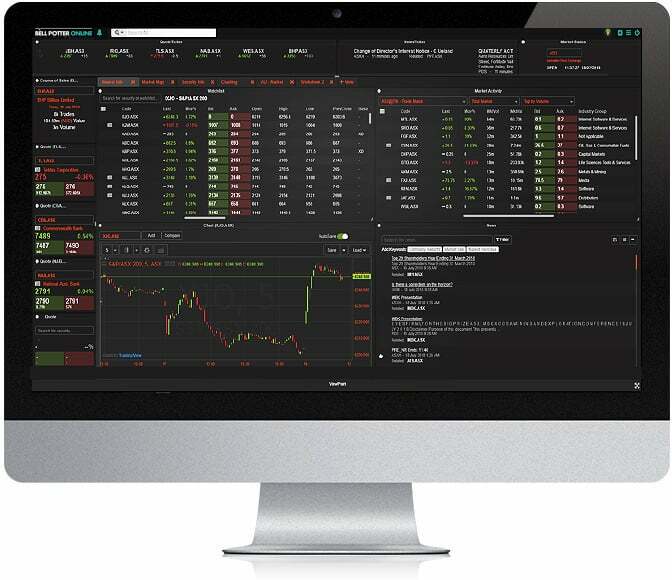 IRESS ViewPoint online share trading software. The frequent trader's platform of choice. With Bell Potter Online, you can access to the next generation IRESS streaming platform, ViewPoint. ViewPoint gives you a constant stream of live market data. Quotes, market depth and course of trades are dynamically updated as they happen. Real time charting and technical analysis tools help you exploit patterns as they emerge. ViewPoint is seamlessly integrated with a Bell Potter Online Gold or Platinum trading account, enabling you to place your orders either through ViewPoint or the Bell Potter Online website. A free Bell Potter Online Gold trading account, seamlessly integrated into ViewPoint. If you are already a Bell Potter Online adviser, login to your account and click on the IRESS icon. Tick the Terms and Conditions box and enter your pin.